And so came and went the last market of the season. And what a long and crazy ride it was. So, we’re a couple months behind in all this. Last you heard there was another market and a field full of weeds that we cultivated way more lucratively than the vegetables. Never fear. 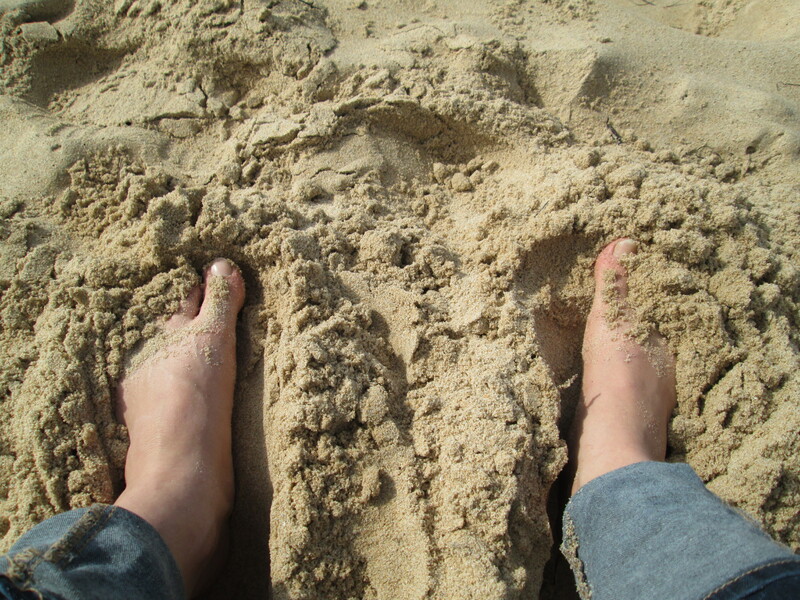 I sprained my ankle –thankfully the day after the last market – so I had plenty of time to catch up on some of this writing. After a couple hard days and some help from my dear friend Steve and his trusty John Deere, we took down the problem portions of the field, cured the onions and planted the fall crops. This was all like back in August, which came and went like a whirlwind. One day it was all ragweed and despair, the next the potatoes were all dug, the later broccoli was in and we were panting in the comfort of Katie’s, noshing on burgers and shakes. And it couldn’t have come at a better time. I picked up a Tuesday afternoon market in the Borough of Northampton and had a lovely time for a few months there. I met some hilarious potato and sweet corn folks at Twin Maples Farm, Mark the kettle corn guy, Tom the Kiffle man, Kelly at Covered Bridge and the meat and eggs couple (who loved my heirlooms) at Sah-lee. It was a challenging new market, as it seems first year markets tend to be, but there is definitely a bit of interest there. It was fun being the girl with the weird stuff – my hometown area is certainly one that wants red beefsteak tomatoes, big peppers and sweet corn, but there seems to be a market for my Hakurei turnips and ground cherries and things customers have to ask questions about. It’s neat to talk to curious people and get them out of their comfort zone, for sure. And Victor, the borough guy who spearheaded the whole thing, is hoping for the chance to clean up the lot space we set up in and make it a cute little walk-around park for a market. I’m in. Let’s give this a shot. At some point after I became the only vendor in the South Philly market, we jumped ship to East Falls and that market closed for the season. I was sad to leave South Philly and would love to make it back there some day, but the East Falls market welcomed us with open arms. It was a great crowd and I learned a lot about what I should be growing, and growing more of. There are some big and beautiful plans afoot for 2014. As the season winded down my mom, aunt and I harvested the last of our available vegetables – carrots, kale, turnips, kohlrabi, broccoli and salad mix. Some went in to the freezer, and we’ve been whipping up some really amazing soups with our stashed produce. Yesterday I experimented with a Tomatillo and Squash Soup from Sunny Anderson, which I was pretty happy with. 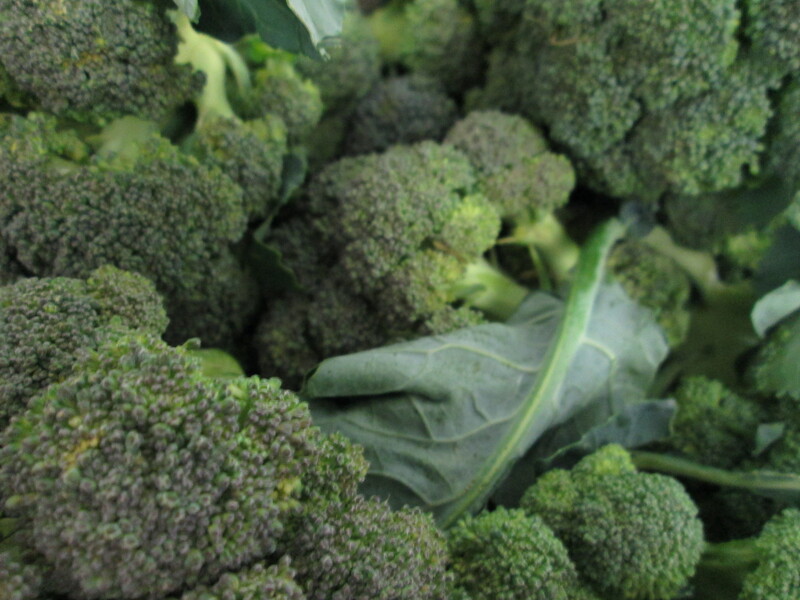 Winter has been full of broccoli. Yummmm. After that, I got to go on an amazing adventure to visit my sister for a couple weeks in California. 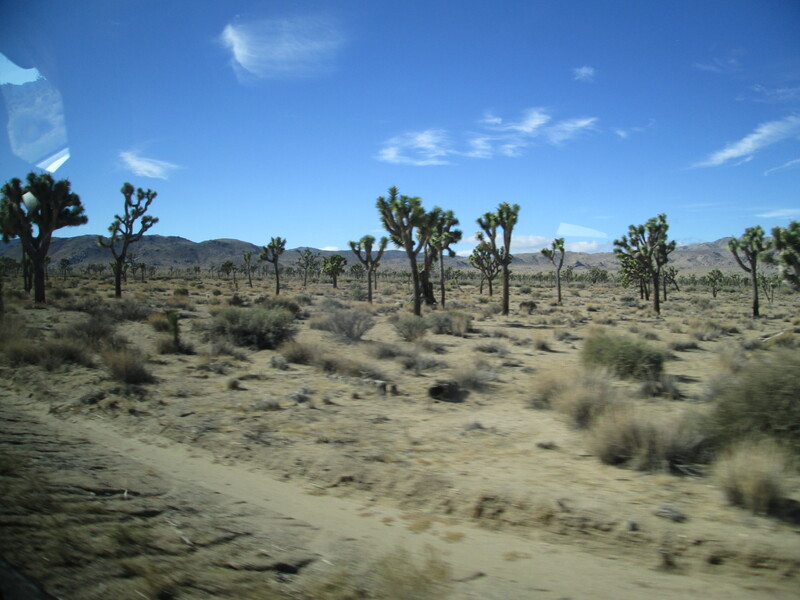 We camped in Joshua Tree National Park, hiked, absconded to San Diego, and I spent more times with my feet in the sand of state parks and beaches than the rest of my life combined. It was a beautiful place, with delicious food, a rejuvenating culture and an endless amount of adventures. I saw my favorite author read, hiked the Hollywood sign, and, most importantly, recovered from the season. I came home with Jess at Thanksgiving feeling refreshed and ready to do it all over again – but this time, bigger and better. Joshue Tree, home of some of the coolest trees on the planet. 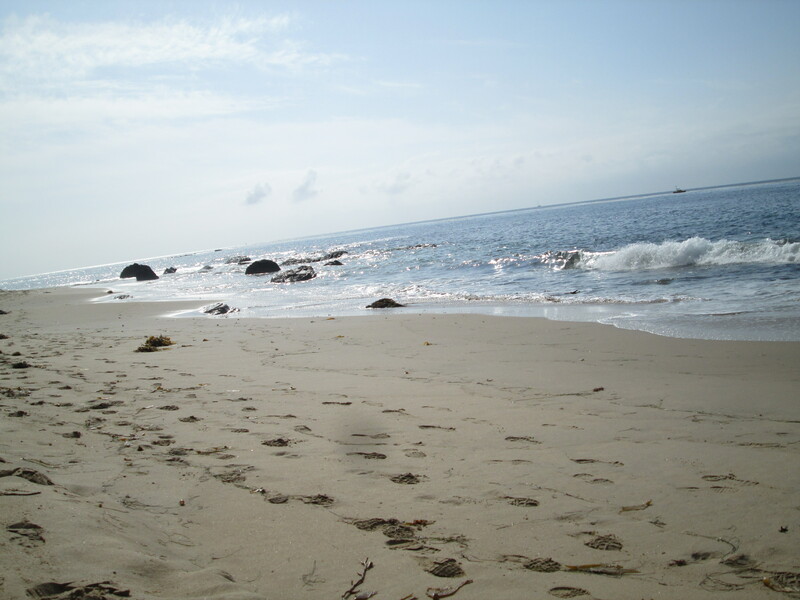 One day I wandered Laguna Beach and pretended I was a neighbor. People had awesome mailboxes, like this one. Between this and the air plant store in Venice, I figured out how I would survive winter in PA.
Yeah, there was a lot of this. For hours and days. AND NOW, TO THE PRESENT! Winter has come. But that’s okay. The gigantic Fedco order is in. The 280-pound potato order from the Maine Potato Lady is in. The Johnny’s seed order is here and cataloged. We’re more than doubling our quantities this year, and before this winter got too cold we uprooted the greenhouse that lived next to my house this year and started to rebuild it up at the farm, now that we’ve got water and electricity up there. I’ve ordered dozens and dozens of perennial herbs on the first step toward herbal tea making. The food dehydrator is waiting to be utilized for dip and soup mixes. Plans on plans are afoot in crop planning, and I’m looking forward to some inspiration at the upcoming PASA (Pennsylvania Association for Sustainable Agriculture) Farming for the Future Conference next month. 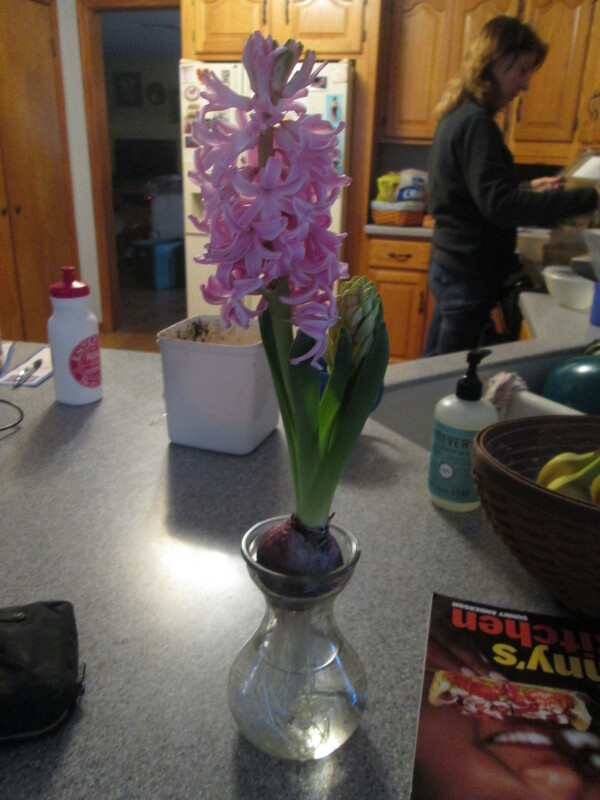 I was sick for a couple weeks and spent a lot of that time sleeping, sleeping, watching my get-well hyacinth grow, preparing to move the farm supplies to the field, and sleeping. 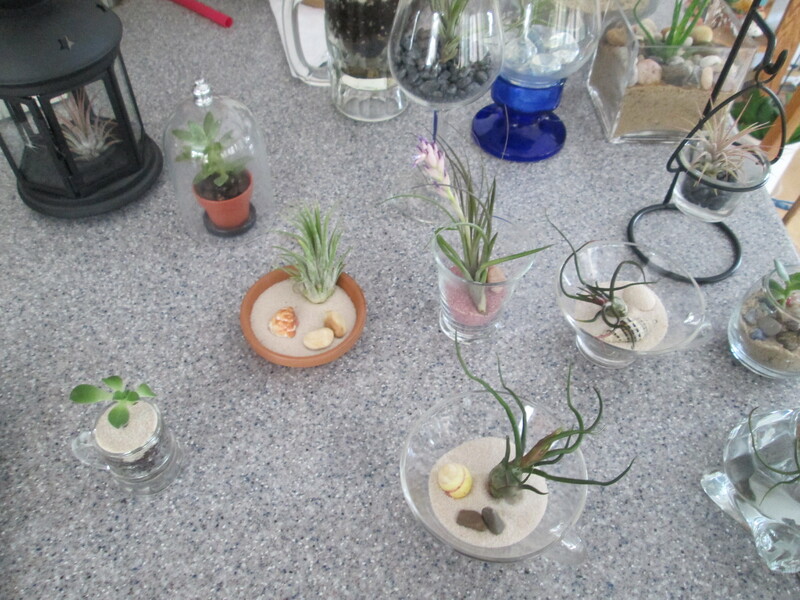 Because plants make me happier than pretty much anything ever, and my friends have learned this. 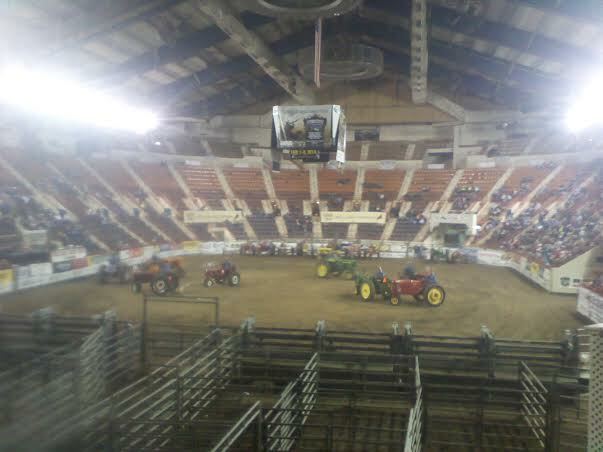 My childhood friend Scott took me to the Pennsylvania Farm Show on Friday, where I picked up some heirloom herbs, found a honey bee course to sign up for and watched a bunch of cows cowing around. Milkshakes, grilled cheese, mushrooms. Great times abounded. Followed by a now regular visit to Philly to see Derek and Matthew, my former farm-mate extraordinaires, this weekend has been indicative of how awesome it is to have some down time. While I know that in a couple months I’ll have a half of year of no breaks, for now, we party on. And dream big dreams – Storefront Dreams. More on that in the next few months. 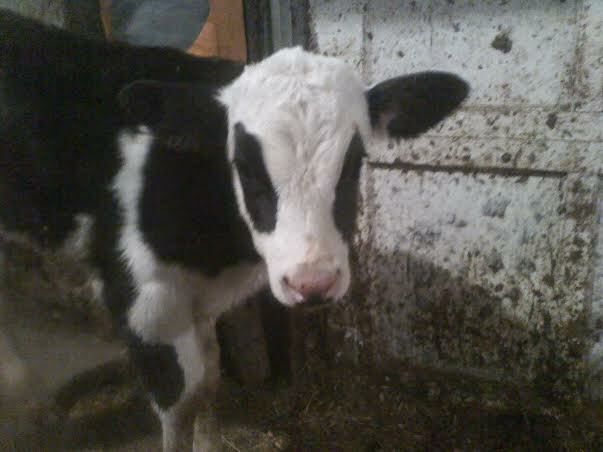 Yeah, this is Panda Calf. One of the reasons I love my job. I’m still working at the dairy. It’s fun. 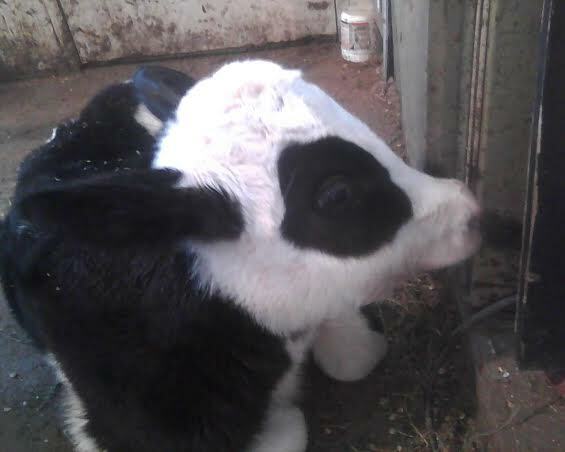 I like working with cows. And I love my employers, and not just because they tolerate my bit of insanity. I’m still working at the Health Habits store, which I also love. 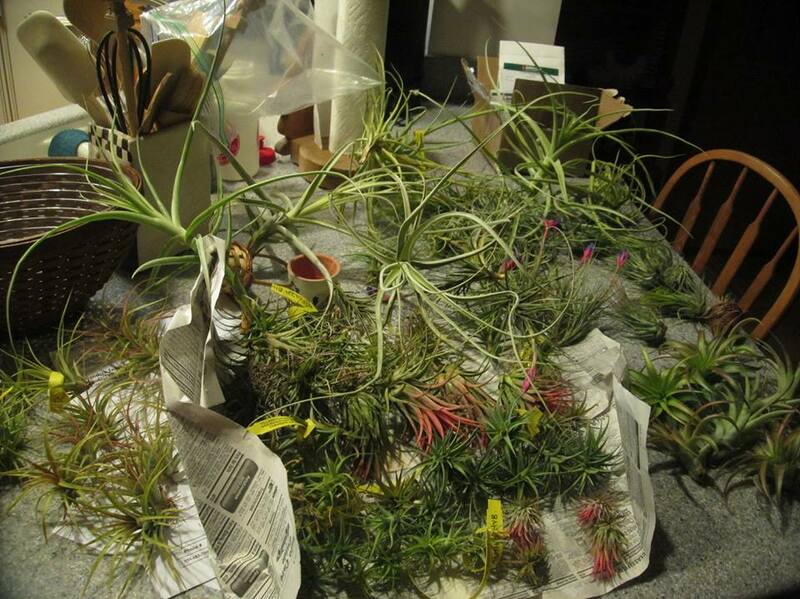 I ordered an enormous box of air plants have been learning about them and making planters to sell at the store. 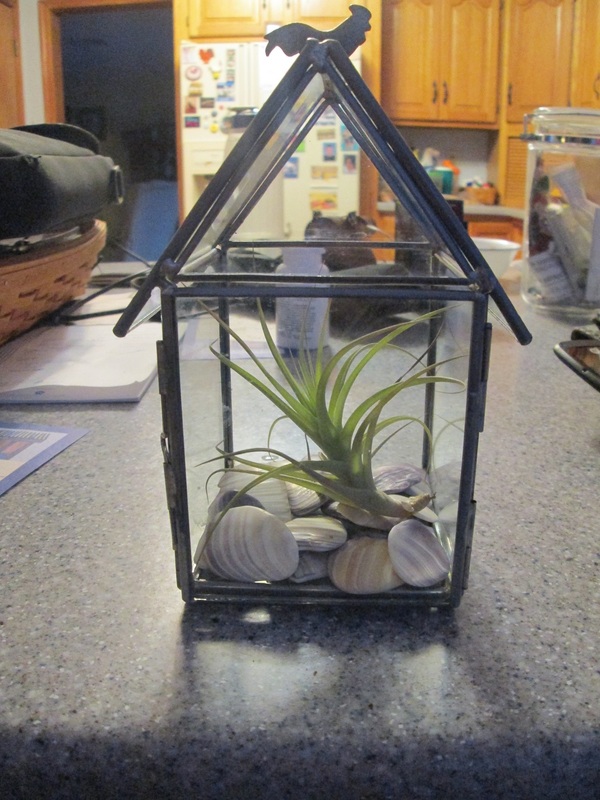 Air plants, or tillandsia, are members of the bromeliad family that don’t need dirt for roots. It absorbs its nutrients through the air, and you soak them in water a couple times a week and mist them to keep them alive. The lack of roots leads to some pretty simply but elegant methods of display. 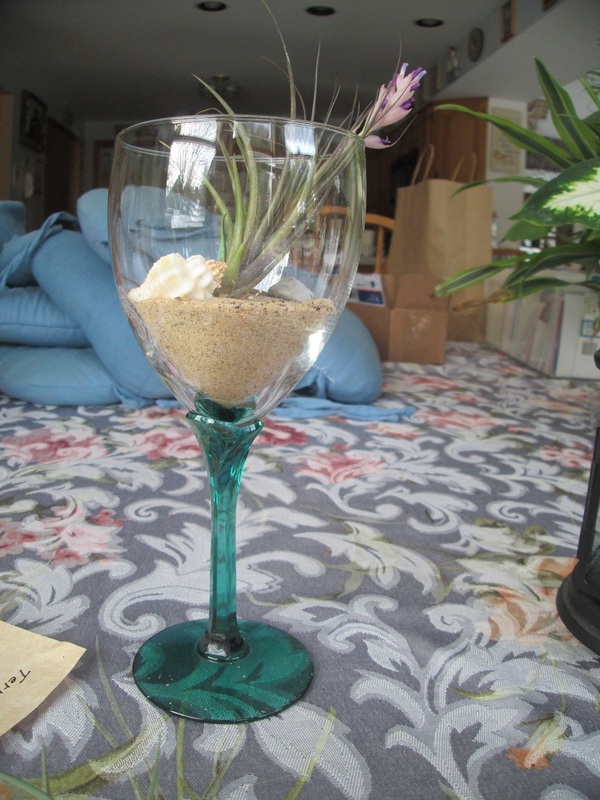 Tillandsia, or air plants, don’t need soil to live. You soak them in water and mist them to help them absorb their nutrients through the air. 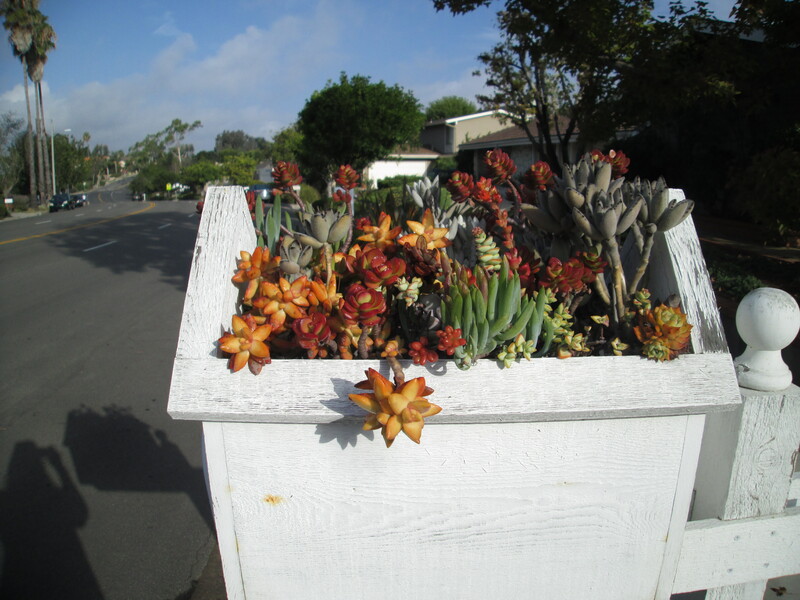 I was enamored with the idea of these in Philly (though admittedly I did kill my first one), and this need to do something with them was reignited at a florist’s in Venice. The store looked more like an art gallery with all these plants in very basic and beautiful displays, and I knew I wanted to do it here. 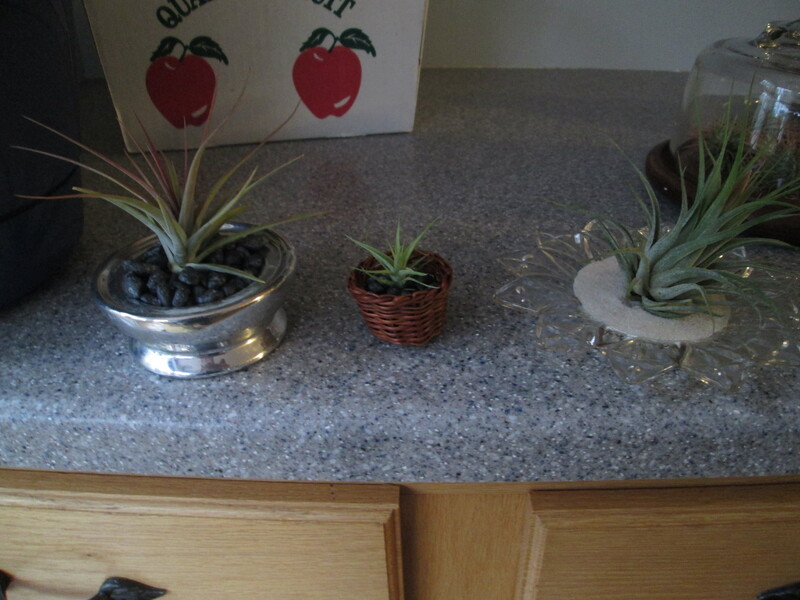 Studies show that caring for plants in a work or home setting improves your quality of life! You should get one. Or a few. For you and all your friends! How cool looking are these?! Seriously. 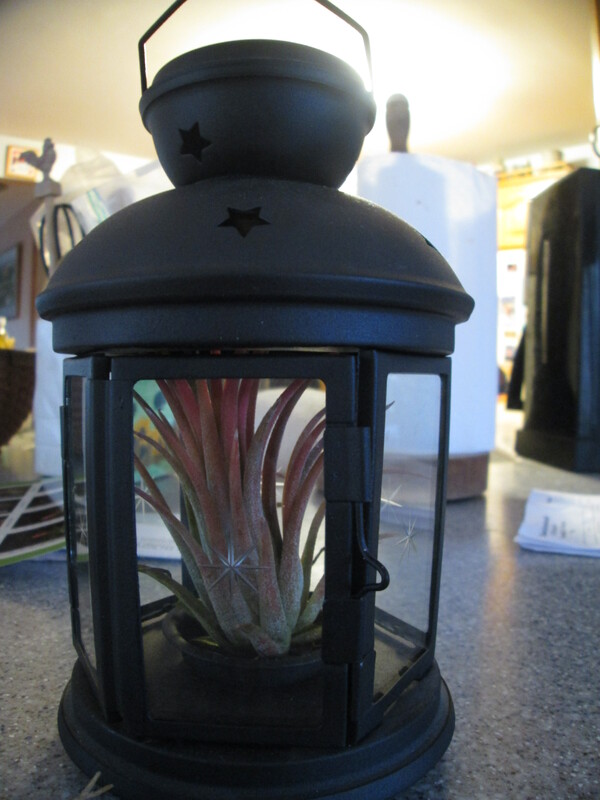 Start your year off right – with an elegant, beautiful air plant for your home or office. Yeahhhhh, working on some signs like that, haha. Prettiest drink plant. 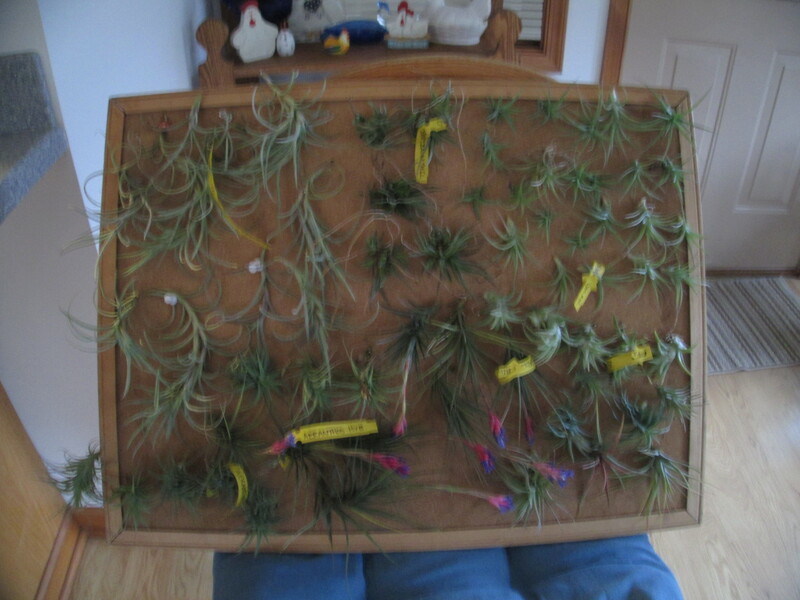 Air plants bloom at intervals I still don’t quite understand, but they are beautiful. And last week I spent a few days farm-sitting for my neighbors while they took a much-needed vacation. Four days of feeding pigs, sheep, cats, chickens and cows – which including hand milking Nana, a beautiful and docile Ayrshire, twice a day – gave me another new perspective on small-scale family farms. And in some of the coldest days Pennsylvania has seen in years, it was a good reminder of how much work can be involved in this lifestyle – especially while schools are closed and folks are being urged to stay inside around you. 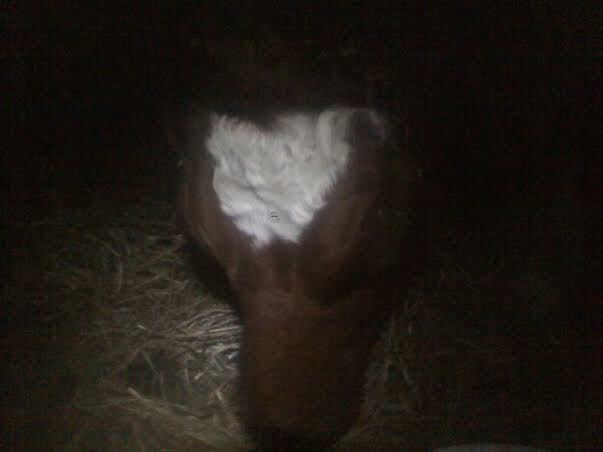 A nighttime phone photo can’t do her justice – but Nana is a pretty cow. 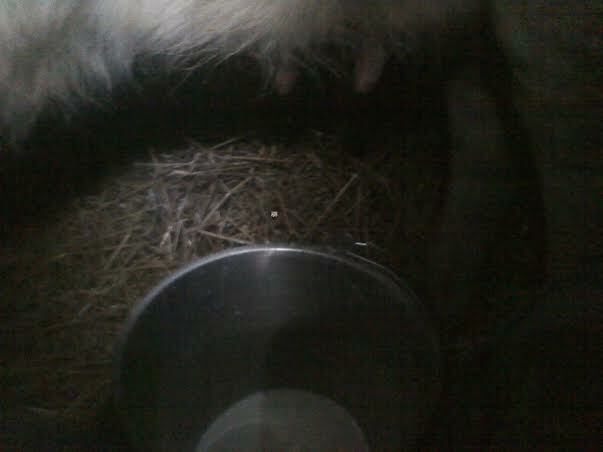 Hand milking into a bucket, like a boss. The CSA forms exist on the tabs at the top of this webpage. If you have questions like, “Hey, what is a CSA?” I have that answer, too. If you are interested or have any questions, you can give me a ring or an e-mail at liz.m.wagner@gmail.com. And if you have a spot to hang an 8.5×11 poster about this in your office or coffee shop, I’ve got that, too. Let me know if you need copies of anything. On a side note, I’m also revisiting one of major reasons I made this life switch in the first place. At the start of 2012 I stumbled across this in one of my mom’s magazines. I was feeling lousy, spending most of my time indoors and not taking care of myself. For whatever reason this particular dose of meal planning (coupled with Back on My Feet Philadelphia) really got me, and it helped drive this whole “Liz quits her job to go play in the dirt and grow vegetables” business in the first place. So, since 2014 is going to be the best year ever, and because I want to focus part of this year on really learning how to cook my produce and consume it in new ways that are fun and filling for both me and my CSA shareholders, I’m starting this again. If you’re having trouble motivating yourself in the weather, or you’re not feeling great about your body or your head space, give this a whirl. At the very least you’ll experiment with some food in new ways. And hey, if you like it, maybe you’ll want some Crooked Row veggies from the CSA this year. Eh? After the challenges and stress and excitement and everything of 2013, I’m looking forward to 2014 with open eyes and an open heart. This is going to be the best year ever. I can feel it looking at seed catalogs, filing paperwork, waking up in the morning. Thank you for coming along on the next chapter of the adventure.